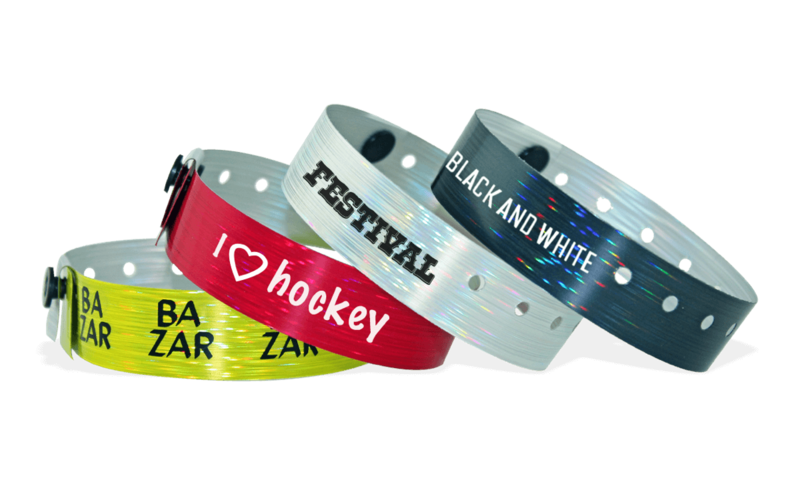 Holographic wristbands are made by combining 3 shiny layers, which result in a shimmering, 3D optical effect. Perfect for adding a touch of glamour to your event. Add a touch of glamour to your next event with holographic wristbands that shimmer and sparkle in the light!